[vc_row][vc_column width=”1/4″][vc_single_image image=”2726″ border_color=”grey” img_link_target=”_self” img_size=”full”][/vc_column][vc_column width=”3/4″][vc_column_text]As state and federal funding for drivers education courses decreases more and more novice drivers are opting to skip driving school, but a recent study published by AAA shows that teenage drivers who miss out on drivers education are more likely to get into traffic accidents or receive traffic convictions. 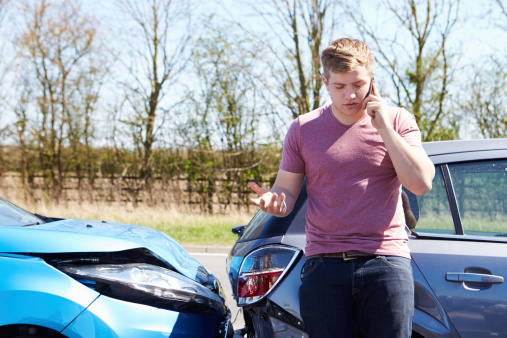 Teenage drivers who attend courses at a driving school were 4.3% less likely to get into an accident and almost 40% less likely to receive a traffic conviction. “This research confirms what conventional wisdom tells us – driver education makes a difference,” stated Dr. William Van Tassel, manager of Driver Training Programs at AAA. “Despite recent declines in participation, the overwhelming majority of Americans believe new drivers should take part in this critical step of the learning-to-drive process.”[/vc_column_text][/vc_column][/vc_row][vc_row][vc_column width=”1/1”][vc_column_text]Bottom line, drivers education is an important teenage rite-of-passage that should not be skipped. Graduates of drivers education courses from driving schools who adhere to the National Highway Traffic Safety Administration (NHTSA) Novice Teen Driver Education and Training Administrative Standards score higher on their driving tests and are more knowledgeable about traffic laws then peers without formal training. This entry was posted in Top Driver Blog and tagged adult driver's ed, Bad Driving Habits, Driver Education, Driver School, Driving Classes, Driving Practice, How to Drive a Car, online driver's ed, Road Safety.